Men, come, listen and share how we can rise up to the challenges of life in this secular world we live in today and what it means to be a father, son, brother, and husband that we were meant to be. Please sign up below ~ seating is limited! 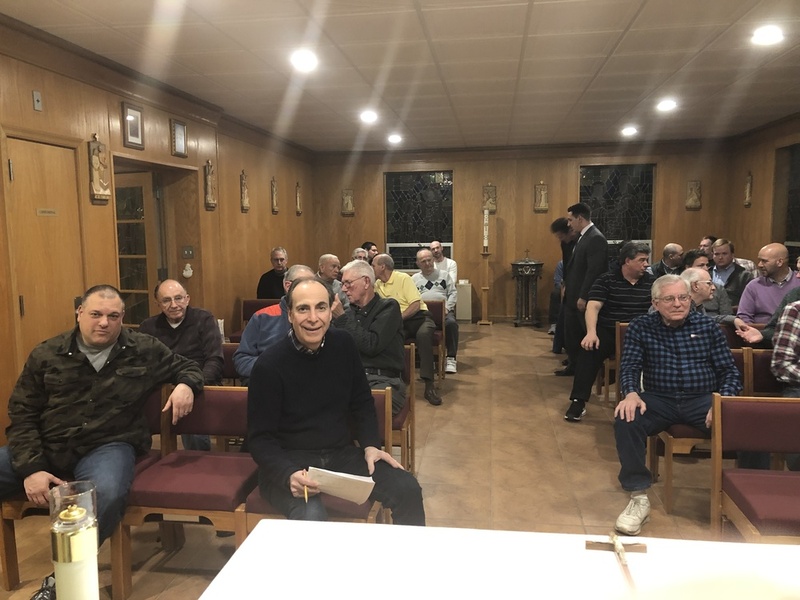 On February 28th, SLG Holy Name Society Sponsored a Mens&apos; Hour of Reflection at Saint Leo&apos;s. Reverend Robert Schecker (Retired Pastor of Church of the Nativity, Fair Haven) was the guest speaker. The topic he discussed was " What kind of prayer experiences can I have - as a man, a Christian, a Catholic in today&apos;s world". Take the time to reflect and pray on a daily basis.